For a pilot to have a tale of adventure on the way to reporting for a trip is not unusual. For First Officer Timothy Baldwin, a Delta B-767 pilot based in Cincinnati, that story was an act of heroism. 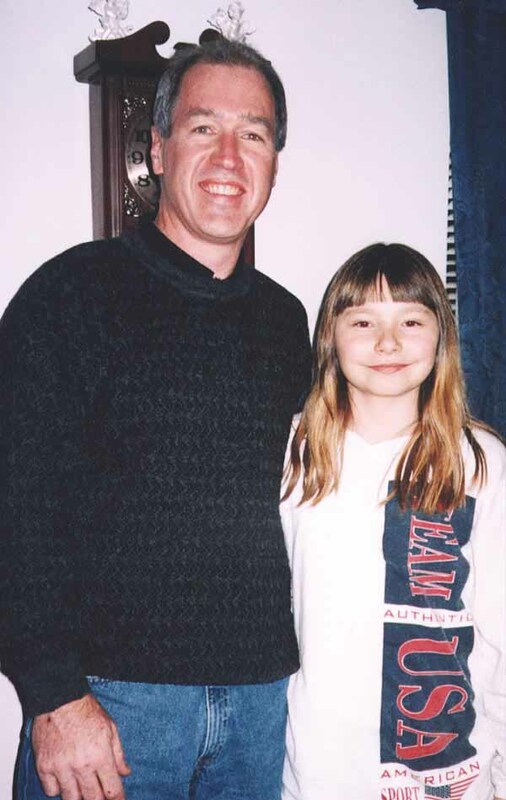 F/O Baldwin, 43, was enroute to his Cincinnati-Portland trip the afternoon of Dec. 27, 2001, from his home in Lawrenceburg, Ind., when he spotted 9-year-old Ashlee Ball, who had fallen through an ice-covered pond while trying to rescue her yellow Labrador retriever, Max. F/O Timothy Baldwin (Delta) with 9-year-old Ashlee Ball, whom he rescued from an ice-covered pond. F/O Baldwin, in uniform, didn’t hesitate to respond. He stripped off his jacket and, with the help of another passerby, tied a garden hose around his waist and crept toward the center of the 30-foot-deep pond on his stomach. When F/O Baldwin tried to pull Ashlee from the pond, the panicked dog tried to climb onto her shoulders, and the ice gave way under the pilot, plunging him into the freezing water as well. As more bystanders gathered, he continued to try to pull the girl onto the ice, which would not hold her weight. With help from the spectators, F/O Baldwin managed to continue breaking through the ice and paddling toward shore with the youngster in tow. Ashlee, who was in the freezing water for approximately 10 minutes, was taken to a local hospital, where she was treated and released. News of the rescue beat them to their destination, however. All three Cincinnati television stations carried the report, and when F/O Baldwin reached Portland, “I got so many cell phone calls about it I couldn’t believe it.” When he returned home, he and Ashlee were interviewed by WLWT, the local NBC affiliate. He was honored by Cincinnati Chief Pilot Bob Walsh in February, and presented with an award by Delta Vice-President of Flight Operations Joe Kolshak in Atlanta. Both men expressed amazement that F/O Baldwin reported for work – and pushed back on time – despite his ordeal.